start at $54.50 and require a minimum of 24 pieces. For your custom designed jersey please allow 5 to 6 weeks for us to process your custom order. For 18-23 custom jerseys there will be an additional $50.00 surcharge fee. For 12-18 custom jerseys there will be an additional $100.00 surcharge fee. 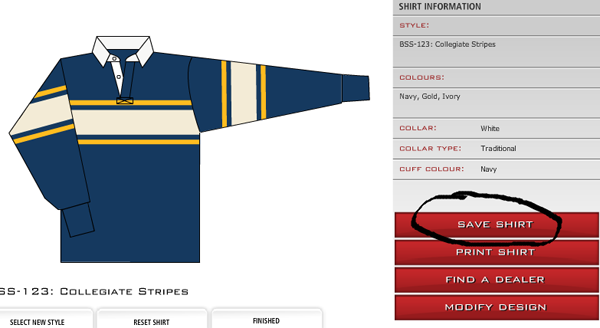 Step 1: Design your own shirt by clicking on the colors and placing them onto the shirt in which you want it to look like. Click finished when you are done. Once you have confirmed that everything is correct, click on the 'Save Shirt' button. 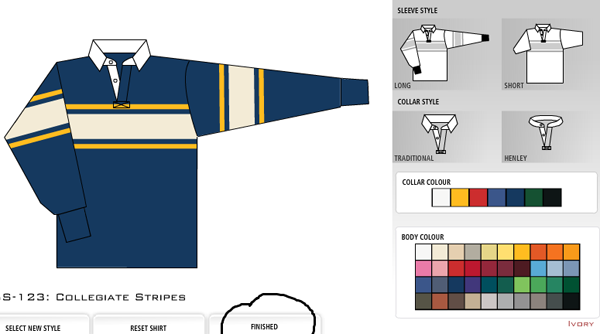 Step 3: Fill in the shirt name area with either a school name or a company name or whoever it is being designed for. 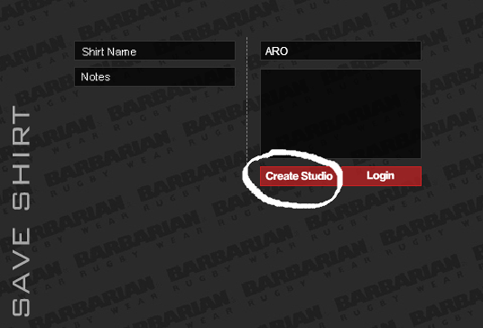 Once finished, click on the 'Create Studio' button. Step 4: Fill out the form with the appropriate information. 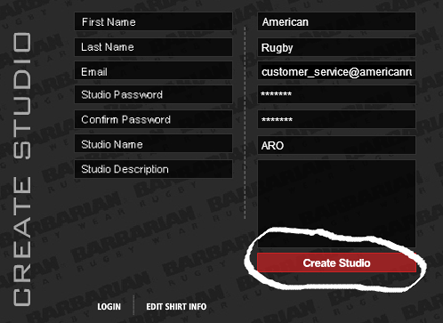 Step 5: You will get a confirmation that your studio has been created. 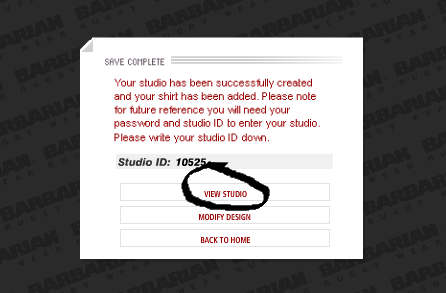 Once you see this click the 'View Studio' button.